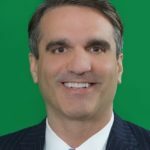 Joseph Rand is a managing partner of Better Homes and Gardens Rand Realty and Rand Commercial Services, and managing partner of Hudson United Mortgage, Hudson Abstract Mortgage, and Hudson United Insurance Group. A graduate of Georgetown University Law School, Rand also holds a masters degree from Stanford Law School and started with the Rand family of real estate companies in 2002 after a career as an attorney and law professor. As Better Homes and Gardens Rand Realty's general counsel, Rand's responsibilities include ensuring regulatory compliance, maintaining ethical standards, and representing the company and its agents in any legal disputes. He's also involved with Rand's extensive new agent and ongoing education and training programs. He has spoken at numerous national conventions on agent education and compliance issues. An active blogger, Rand writes for the RandRealty.com "Market Intelligence Blog" as well as his real estate education blog "The World's Best Real Estate Agent." He also maintains a personal blog about his experiences moving to the suburbs from the city, the "Move to Suma." Brad Inman wrote earlier this week about the breakup of an “empire” — the sale of Better Homes and Gardens Real Estate | Mason-McDuffie, a company with a 100-plus-year history, upon the retirement of my friend and colleague Ed Krafchow. The first thing panelists need to realize is that they’re not giving a “presentation.” Too many industry “panels” are really just a series of individual talks: one panelist goes for five or 10 minutes, then the next panelist goes and so on. Boring! Every real estate agent takes overpriced listings. OK, maybe not every agent. I’m sure that someone is already composing some pointedly outraged rebuttal for the comment section about how they’ve never taken an overpriced listing. OK, fine, you’re the exception. You never take overpriced listings. Congratulations. You’re so strong.